A helicopter and an aircraft collided in a mid-air crash on Friday in Buckinghamshire in England at around midday. There have been a number of casualties, according to the local ambulance service. Police and emergency services were called to the scene near the town of Aylesbury at 12:06 p.m. The crash is being investigated by Air Accidents Investigation Branch (AAIB), which confirmed the collision between a helicopter and an unspecified aircraft. Thames Valley Police said that the accident had caused disruption to the road network around the village of Waddesdon. Initial reports suggested the crash happened in Waddesdon. However, one Twitter user corrected this, saying that the crash happened in the village of Upper Winchendon, 1.5 miles away. This was also confirmed by a spokeswoman for Waddesdon Manor to the Guardian. She said the manor’s staff were quickly on the scene in the aftermath of the crash to direct traffic and help emergency vehicles access the site more quickly. “Thames Valley Police are coordinating the response to the incident. 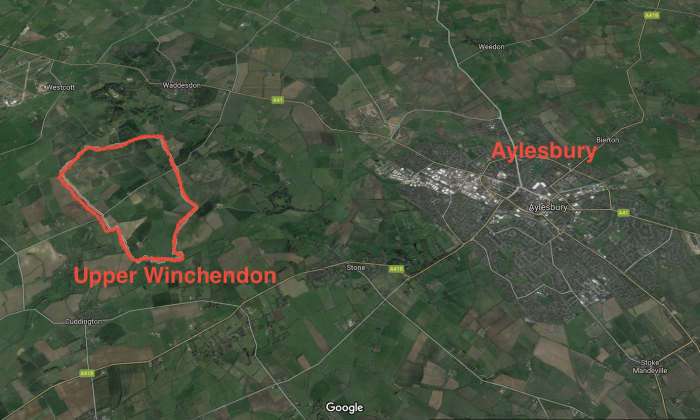 The Air Accidents Investigation Branch has been informed and staff are en route to the scene. Fire and ambulance services are also in attendance and preservation of life is first priority,” Thames Valley police wrote in a statement.